On this page you find several programs in English. Sangye Nawang is one of the eight students who wrote the critical letter in which they accuse Sogyal Rinpoche of sexual and physical misconduct. Sangye worked as a director technique at Rigpa International. In this interview he speaks about his experiences with Sogyal Rinpoche. In july 2017 Sogyal Rinpoche, the spiritual leader of the Tibetan Buddhist organization Rigpa, fell into disgrace, following accusations of sexual and physical abuse. In this interview Menno Bijleveld talks to former Rigpa member Tahlia Newland about her experiences with Sogyal Rinpoche. Tahlia Newland is a writer, editor and artist in Australia. She is the founder of What Now?, a group of former Rigpa students who stay connected through a blog and Facebook group. Here, they share information and insights, and provide care for victims and other people who are involved with the Rigpa situation. Newland was a Rigpa member for twenty years, but resigned after first hearing of the abuse from other Rigpa members. She initiated the What Now? group the evening that the first critical letter was published by eight former Rigpa students. The interview is made by Menno Bijleveld. In July 2017, Menno decided to terminate his membership of the Tibetan Buddhist organization Rigpa. It also meant the end of his 25 yearlong relationship with Sogyal Rinpoche, Rigpa’s spiritual leader. Increasing rumours and messages concerning sexual, physical and psychological abuse and his extravagant lifestyle choices have damaged his faith in Sogyal as a spiritual teacher. In his view, a buddhist teacher who preaches love and compassion should also embody these qualities himself. Following his own feelings of confusion and anger, as well as the struggle of others, he took up the idea to interview several people who are involved in this difficult situation. How do they perceive the actions of Sogyal Rinpoche? How do they cope with the accusations? And to what extend do Sogyals teachings remain valid? With these series Menno wants to re-evaluate his relationship with buddhism and the dharma. 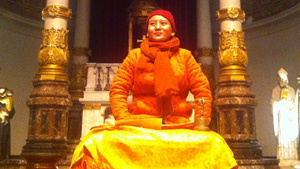 Internationally famous musician and humanitarian Ani Choying Drolma is touring trough Europe. She performed her extraordinary interpretations of Buddhist chants and songs to the Dutch audience in De Duif in Amsterdam. Ani Choying Drolma is a Tibetan Buddhist Nun from Nepal who travels the world performing her melodic chants and modern spiritual songs while recording best-selling albums. Founder of the Nuns’ Welfare Foundation of Nepal and awarded as 2012 N-Peace Ambassador she uses her beautiful voice to fund her numerous humanitarian efforts. I made recordings of the concert for BOSrtv and talked with Ani Choying about singing, travelling and practicing Dharma. On Sunday the 10th of February the documentary Yangsi: Reincarnation is Just the Beginning can be seen on Dutch television. ‘Yangsi’ is an intimate film of a young Tibetan recognized as the reincarnation of Dilgo Khyentse Rinpoche, one of the most revered Tibetan Buddhist masters of the twentieth century. He is known as The Yangsi, ‘the one who has come again into existence’. The film witnesses his academic and ritual training, intimate family visits and the transmission of high tantric practices, from mentors including Dzongsar Khyentse Norbu, Sogyal Rinpoche and Matthieu Ricard. Dilgo Khyentse Rinpoche was Matthieu Ricard’s tutor for many years. 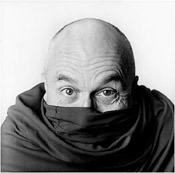 Now, in return, Matthieu Ricard is the tutor of The Yangsi. In an interview for the Buddhist Broadcast Foundation I talked with Matthieu Ricard about this special relationship. 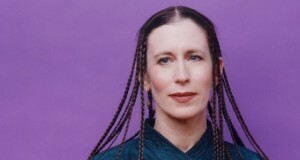 Meredith Monk gave in October 2011 a lecture, a wo rkshop and a concert at the Compagnietheatre in Amsterdam. She’s is a composer, singer, director/choreographer and creator of new opera, music theater works, films and installations. Her groundbreaking exploration of the voice as an instrument, as an language in and of itself, expands the boundaries of musical composition, creating landscapes of sound that unearth feelings, energies, and memories for which we have no words. Menno Bijleveld spoke with Meredith Monk about her meeting with the Tibetan master Chögyam Trungpa Rinpoche, the voice as messenger of the soul, the relation between art and buddhism and her opera about the famous adventurer Alexandra David-Néel. “In a way, Nathaniel Dorsky (1943) could be seen as one of the ‘classic’ American avant-garde filmmakers, although he is a relatively late developer within this group. Dorsky works with great care, filming on 16mm and projecting at 18 frames per second: ‘sacred speed’, as he calls it. He has not used sound since his very first films. The films are screened in silence, to focus all attention on the images: stunningly beautifully shot, silent and striking. The images do not refer to a subject the viewer is expected to recognize but stand completely alone. Dorsky’s oeuvre consists of twenty short films, each of approx. 10 to 30 minutes. 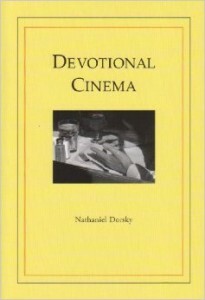 In his book, ‘Devotional Cinema’, published in 2004, Dorsky explains his vision of the transformative power of watching films, his influences and philosophy, related to Buddhism”. From the website of the International Film Festival Rotterdam (IFFR). De documentary Zenju’s Path was shown at the fifth Buddhist Filmfestival in Amsterdam October 2010. Zenju’s Path explores the life & work of Zenju Earthlyn Manuel one of the first African-American female Soto Zen priest in the United States. Zenju’s Path chronicles the spiritual odyssey of a remarkable woman, beginning with her family’s devout Christian upbringing, the pain of racial bigotry and her questioning of both. 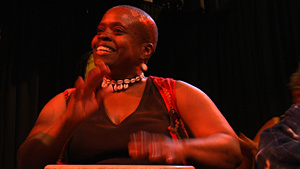 It is ultimately the story of a dharma teacher who doesn’t suppress the questioning of spiritual practice and tradition: Zenju uses the drum as a tool, a wake-up call connecting all who suffer, regardless of race or gender to the Buddha’s teachings. Menno Bijleveld talked with Zenju Earthlyn Manuel about her life and the documentary Zenju’s path. Nine people, nine lives. Nine Lives explores nine very personal stories– a Sufi, a possession dancer, a Buddhist monk, a Jain nun, a Tantric and so on, each telling their own story, aiming to show how faith and ritual are clinging on in the face of India’s commercial boom. Each life represents a different religious path, while revealing the perhaps surprising persistence of faith and ritual. Dalrymple’s first travel book in a decade explores how traditional forms of religious life in South Asia have been transformed in the region’s rapid change. Menno Bijleveld talked with William Dalrymple about the current state of the sacred in India. A portrait of the author of Dharma Punx, Against The Stream and The Heart of the Revolution, is a Buddhist teacher, author and counselor. 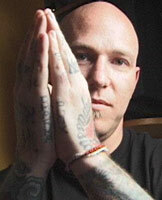 Noah Levine was trained to teach by Jack Kornfield of Spirit Rock Meditation Center in Woodacre, CA. He is the founding teacher of Against the Stream Buddhist Meditation Society, with a center in Los Angeles and over 20 affiliated groups around North America. He teaches meditation classes, workshops and retreats internationally. He is also on the board of directors of the Buddhist Recovery Network. Levine lives in Los Angeles. In May 2010 Levine gave a lecture and guided a Vipassana retreat in the Netherlands. Menno Bijleveld talked with Noah Levine about the correlation between punk and Buddhism, the disastrous consequences of addiction and the transformative effects of meditation in his live. Psychotherapist, writer and Pure Land Buddhist David Brazier, also known as Dharmavidya, is the spiritual head of the Amida Sangha. He spoke on a Buddhist symposium ‘Compassion in Society’ in Utrecht (the Netherlands) April 2010. In his book New Buddhism Brazier connects compassion to the earliest teachings of the Buddha and pleads for an engaged form of Buddhism. Brazier is author of The New Buddhism, Beyond Carl Rogers, Zen Therapy, The feeling Buddha and Love and Its Dissapointments. Menno Bijleveld talked with Brazier about psychotherapy and Pure Land Buddhism.